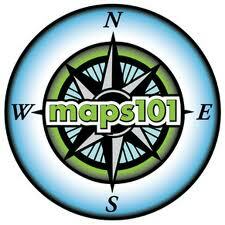 Sudbury now subscribes to Maps101, a web-based interactive database of teacher lesson plans, geography tools, online learning games, interactive map modules and over 4,000 viewable and printable history, thematic, reference, outline, current events and animated maps. This resource, available to all staff and students, supplements and complements traditional history, social studies and geography curriculum materials. This resource is a powerful addition to those who have interactive whiteboards in their classrooms, used in a lab setting, embedded in a Keynote or any other document or presentation, home access or printed out for student use! Maps geared to grades K-3! And visit the YouTube Maps101 Channel for a series of short videos on many of their resources!